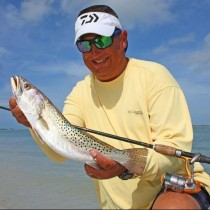 I was fishing recently with Jim VanPelt for trout on a beautiful Southwest Florida morning. We began the day with topwater lures and the bite was on fire. As the morning wore on, I noticed there were more “blow-ups” on the lures but less fish being caught. I switched to a Gulp shrimp in an attempt to get more hookups. I noticed that Jim was still getting hits from active trout, and I was getting ignored. I had an idea to test the lures side by side to see which one an actively feeding trout would prefer when given a choice. This was by no means a controlled or scientific test, but merely my way to keep things interesting and maybe learn something that I would forget later anyway. 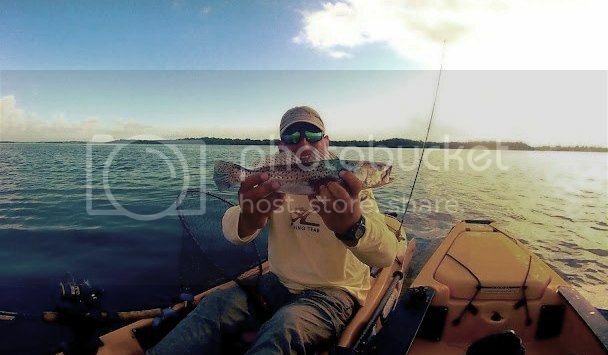 I paddled over right next to Jim, and we began casting both lures to the same spot. My thinking was that the topwater lure would attract the fish to the spot, but it would go for the Gulp shrimp when it arrived. During the first retrieve, Jim’s bait began getting slammed by trout that just wouldn’t take the bait. My Gulp received no attention. 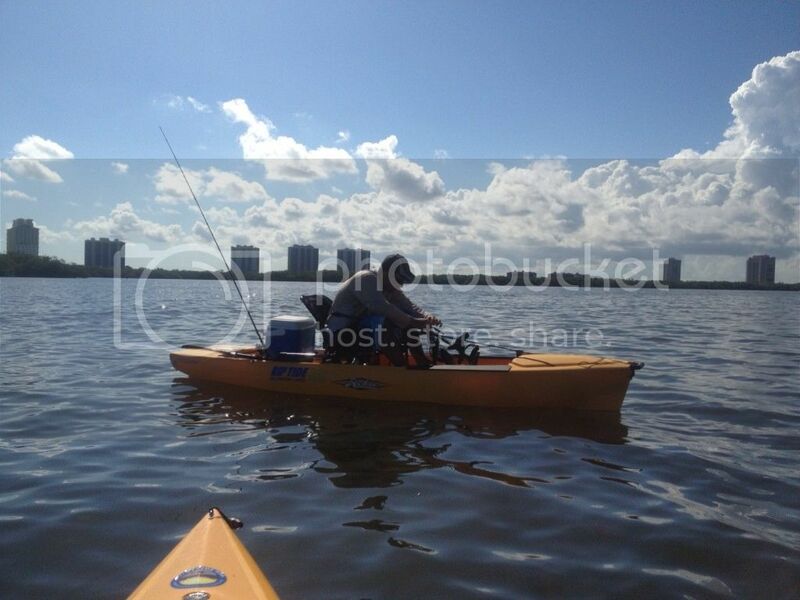 This happened time and time again as we kept casting to the same spot and retrieved our lures in close proximity. Jim’s Spook lure was getting all of the attention, but no catches. Finally, Jim scored a fish. He landed the fish, and while he was removing the hook, I casted to the same spot. I had a nice trout inhale the Gulp shrimp and reeled him in. It seemed that the topwater bait was the big attention getter and once it was out of play, the now excited fish would hit anything that came along. We tested that theory with Jim working his Spook across an area and when he had a missed strike, I would toss the Gulp in the same area and hook up. The Gulp by itself had to be in close proximity to the fish to be seen in the murky water, but the topwater lure was loud and attracted fish to its location. Working these baits in tandem, we began to catch many more trout than we were when we split up. This is really nothing new and I know most anglers already knew this information. I frequently use two rods with one rigged up with topwater and the other with soft plastic. I use topwater near the mangroves, and if I have fish break water after it and miss, I grab the other rod and toss a soft plastic lure in the same area. More often than not, I catch a fish. It was just interesting to put the theory to test in a planned manner and work together with someone else to see this technique work in practice.